One of the world’s most innovative businesses in machine cutting has improved its productivity with energy chains manufactured by igus in one of its flagship products. Engineers at Messer Cutting Systems, based in Wisconsin, worked with a team from igus to develop e-chains on its MultiTherm machines. Messer is a global supplier of industry-leading cutting machines and stands at the forefront of technological innovation. 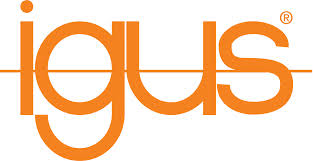 igus, based in Cologne, Germany, runs its North American operations out of Providence, R.I. The MultiTherm machines promote the cutting of steel sheets and can couple a specific tool for cutting carbon steel strips. The machines can manufacture nine parts at a time, in different sizes if necessary, and include an automated set-up that does not require human intervention. MultiTherm machines can withstand 11 cutting suspensions/torches (10 installed in front, one in back). The cables and hoses in the unit work within a limited space. Working with a team from igus, Messer’s engineers developed a unit where e-chains were assembled with one inside the radius of the other to reduce space and maintain safe handling of cables and hoses. Engineers selected the igus energy chain 3500 series with 150 mm and 250 mm bending radii as well as an Autoglide AG.380.OF system, which keeps the overlapped e-chains aligned. Messer’s cutting machines are renowned for durability and dependability. They are designed to operate in diverse environments and perform reliably in extreme conditions, whether it’s in shipyards, steel mills or the heavy metalworking industry. Messer’s equipment operates without failure even in dirty and rough conditions. Some machines have operated for more than 15 years without a technical failure or even a broken hose. “We are prepared for the worst environment,’’ CTO Maxwell Santos said. The energy chain systems manufactured by igus are made with polymer materials and withstand the harsh environments in which Messer’s machines are deployed. igus’ e-chains are corrosion-free and can be used in shipyards or at sea. They also operate flawlessly in foundries due to their ability to withstand high temperatures. Their resistance to dirt, chips and other materials also make the igus e-chains suitable for steel and metallurgical plants. Maxwell also touted the cost savings of igus components. “It costs half as much because it lasts twice as long,’’ he said. He feels igus energy chains are the most economical solution for Messer because they are maintenance-free and their durability promotes cost savings and greater productivity. Maxwell said Messer uses igus’ e-chains for their reliability – “They don’t give us any problems,’’ he said – and because the motion plastics company provides expert technical support. The reliable performance of igus’ components virtually eliminates unplanned stops and the technical expertise has helped Messer remain a step ahead of its competition. Specialists from igus have supported Messer in the development of many projects and processes over the years. Messer Brazil is in its fourth generation of machines that have achieved sales success with low post-sale maintenance rates for products that include igus components. Messer’s partnership with igus reaches around the globe, with plants in the United States, Germany, India, and China. According to Messer, none of its five units have been able to find better solutions and use igus e-chains in all of their product launches. Messer’s CNC Laser, Plasma, and Oxicorte cutting machines leave the factory with igus e-chains. Messer’s products are used in a wide range of industries, including construction, automotive, energy, electronics, material handling, mechanical engineering, shipbuilding and more. Its product range includes oxyfuel, plasma and laser cutting systems from hand-guided machines to special machines for shipbuilding. It also manufactures machines and equipment for oxyfuel welding, cutting, brazing, soldering, and heating.